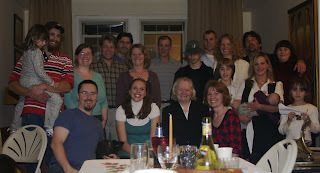 Here are the much awaited best-of-the-bunch photos from Thanksgiving. To see them, go to our gallery here. If you're too lazy to go there, here's a taste. Thanks. You got some great pictures. Especially like the one of the whole family.